"The nuclear agreement with Iran may not be perfect. But so far, it has prevented Iran from obtaining nuclear weapons and averted an escalation that, three years ago, was highly likely," Mass told the General Assembly on Friday. "That's not insignificant," he said. "We, Europeans, therefore stand together by the agreement." 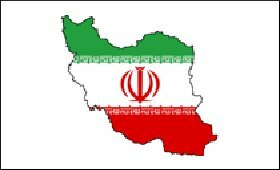 "The fact that we stand by the Joint Comprehensive Plan of Action (JCPOA) does not mean that we are turning a blind eye to Iran's destructive role in the region or to its ballistic missile program," said the Minister, referring to the July 2015 nuclear deal drawn between Iran and the six nations -- Britain, China, France, Germany, Russia and the US. US President Donald Trump in May announced his decision to withdraw from the deal and renew sanctions on Iran, Xinhua news agency reported. Maas also talked about measures to circumvent the US sanctions against Iran. "We are working on keeping economic exchange with Iran possible, and we call on Iran to continue its full commitment." Earlier on Monday, EU's foreign and security policy chief Federica Mogherini said that the European Union will set up a legal entity to facilitate legitimate financial transactions with Iran. The legal entity will allow European companies to continue to trade with Iran in accordance with EU law and could be open to other partners in the world, Mogherini told reporters in New York after she chaired a meeting of the foreign ministers from Iran and the five countries that were still committed to the deal.